"We hold these truths to be self-evident&..." Or do we? For decades well-meaning Christians have been fighting the culture war. Sadly it seems we're losing the fight. We have failed to defend what matters most. The real threat to our Christian faith and values is not abortion, gay marriage, terrorism, or the radical Left. Alex McFarland reveals the fatal flaw nobody's talking about: we've abandoned natural law, allowing secular culture to redefine truth and dismantle the Judeo-Christian foundation of America. 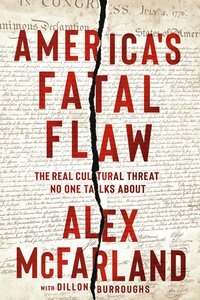 About "America's Fatal Flaw: The Real Cultural Threat No One Talks About"